Classic pave set diamond engagement ring set in a fine 18k white gold with a stunning 0.80 carat round brilliant cut diamond in the centre. 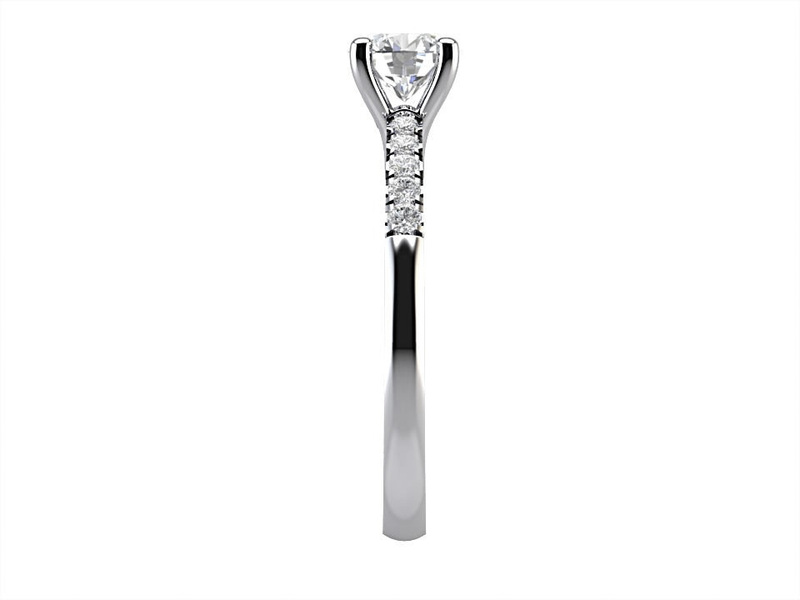 The centre diamond is set in a classic traditional 4 clawed setting. 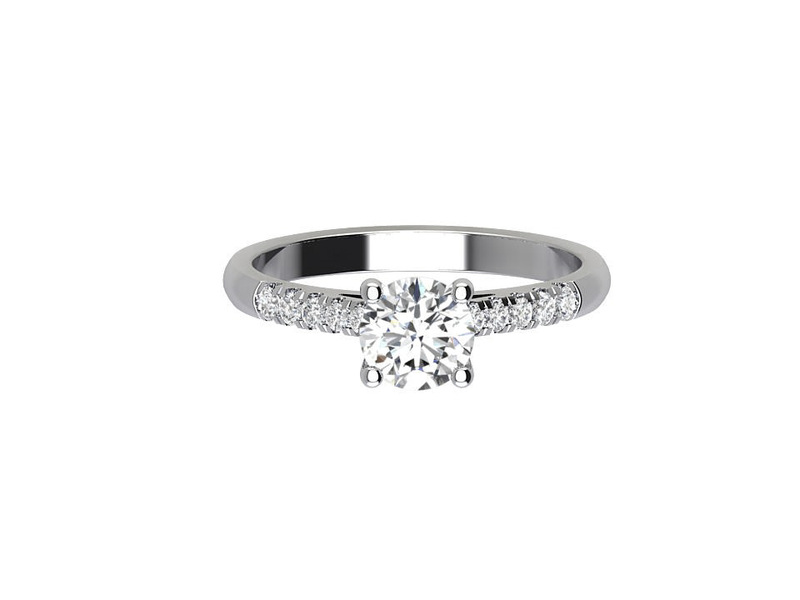 This ring has a total carat weight of 0.95cts which is made up from round brilliant cut diamonds on the shoulders in a pave channeled style setting.